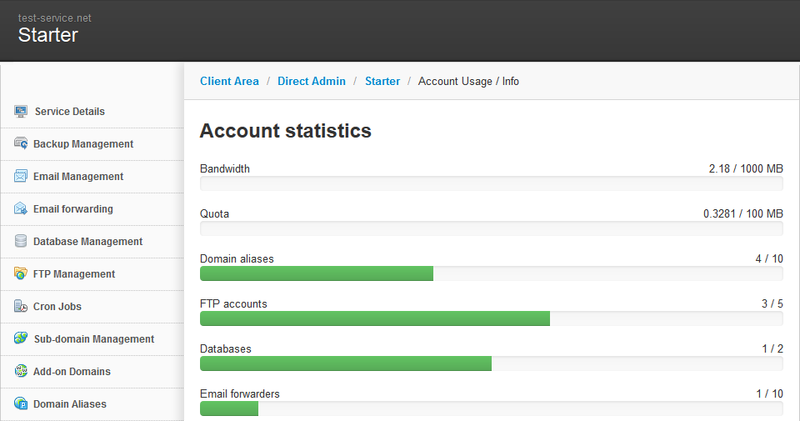 DirectAdmin is an easy to use yet effective web hosting control panel. 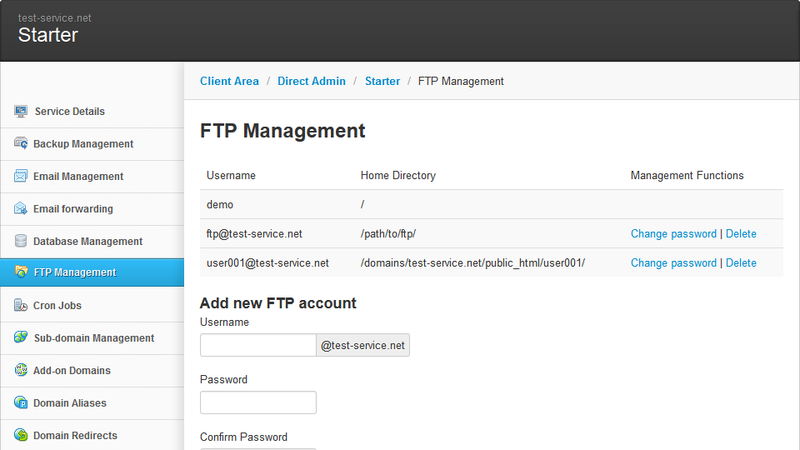 With the DirectAdmin module for Hostbill you can now provide your customers with the best performance allowing them to manage all vital aspects of their hosting account directly from HostBill client portal: manage Domains, FTP, SSL certificates, setup email accounts, manage databases and much more. Within the client panel your customers can easily access File Manager, Webmail or phpMyAdmin.Thanks to the single pane of glass service management and broad spectrum of features that HostBill provides handling the hosting account with DirectAdmin module is super easy and convenient! 2016-12-30 - Fixed: Provisioning does not work. 2016-12-23 - Added: New field in app config, allowing you to specify user control panel url.